Fliers gripe that getting through airport security lines can be too slow. Now, it may be fliers who are slow to sign up for a program to speed them through the lines. 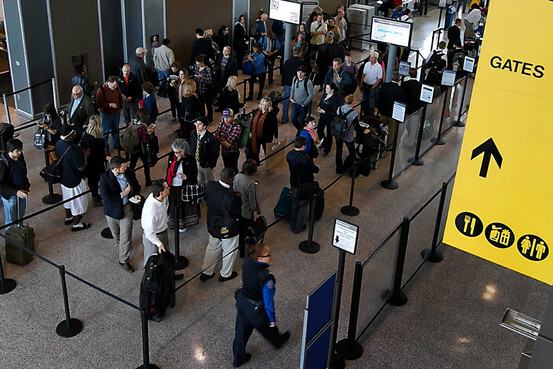 The Transportation Security Administration is aggressively trying to encourage more people to sign up for TSA Precheck, reports The Wall Street Journal (April 17, 2014). TSA wants lots more people enrolled in Precheck to make better use of its designated security lanes, which currently number 590 at 118 U.S. airports. “It’s one of the last great bargains the U.S. government is offering,” TSA Administrator John Pistole has joked. To entice travelers into Precheck and test TSA’s ability to handle more people, the agency has been selecting regular passengers to go through Precheck security lanes and get it printed on their boarding passes. Selection is based on criteria like passengers’ travel history and the route being flown. TSA officers trained in behavior detection also can move passengers they deem low risk from regular queues into Precheck lanes.